The steady rise in count of healthcare software companies in past few years has widened the field of innovation in healthcare. According to Gartner, the Healthcare IT market is poised to be worth $280 billion by 2021. This lucrative figure is what is driving entrepreneurs to experiment with new business ideas. At Daffodil, we have been working with a lot of innovative healthcare software companies to realize their business vision. As a technology partner, we have seen some common trends that we believe will shape the healthcare industry in the near future. 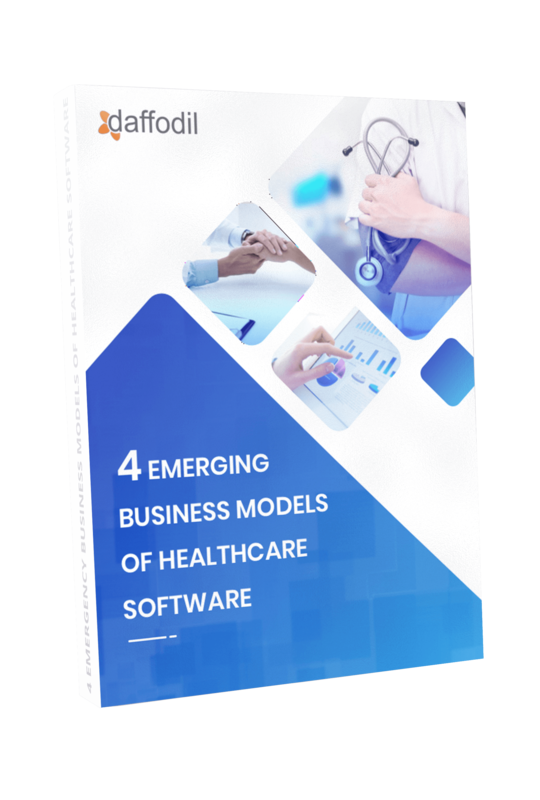 In this ebook, we are covering 4 emerging business models that as per our research will form the backbone of companies looking to venture into healthcare software development. Hopefully, this ebook will help you implement the right features and explore new ideas for your product to create an impact in the healthcare industry..